On the nose: melted sugar, apple crate and anise. In the mouth, rough-sawn wood and tobacco dissolving into chewiness. The finish has substantial weight and smells like Christmas spice cookies. Pair this cider with fennel sausage. When we first started choosing cider apples to plant in 2001, Kingston Black was on the top of our list. This famed Somerset variety has a reputation far and wide for making a superb single variety cider and we were excited to try our hand. It took awhile for our trees to begin bearing enough fruit to ferment alone. Horticulturally speaking, the trees are challenging. Their form is wild and unwieldy with lots of blind wood making pruning interesting. Bees don’t seem to love their tiny, ugly flowers and they are susceptible to all sorts of rots. The apples are on the small side, and yields are too. Nevertheless, we persevered and started making single variety Kingston Black cider. 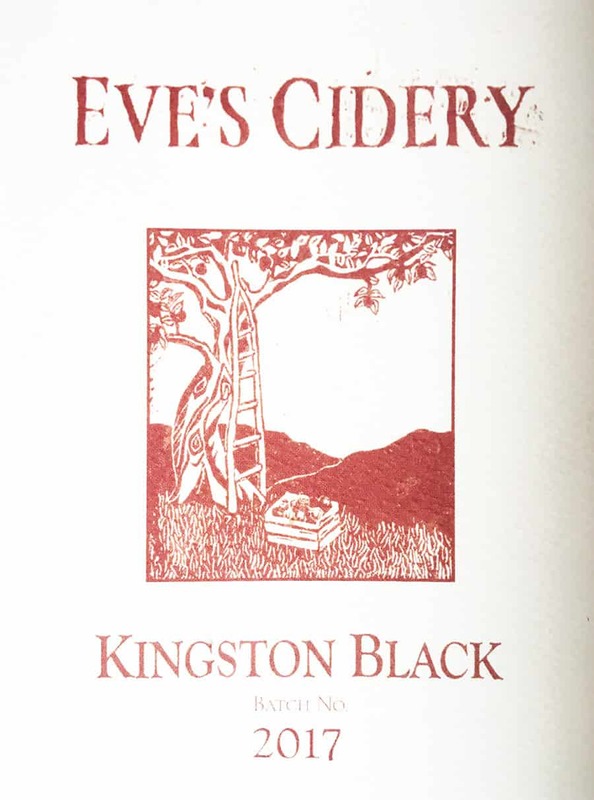 From a cider-making perspective, Kingston Black proved to be a challenge as well. Taut tannins, springy acidity and unpredictable aromas left us befuddled. “What’s the big deal with Kingston Black any way?” we asked our selves. Several colleagues have asked the same question, diverting the fruit to blends or tearing the trees out all together. But we are not giving up. We are on a mission to crack the code. Last year we macerated the pulp for 24 hours to bring out more vivid aromas. We did partial fermentations in neutral oak to let the cider breath and soften tannins. And for the first time we made it sparkling. The creamy mousse of bubbles works to integrate the tannin with the acid. For us, Kingston Black is a journey, and the 2017 vintage is a milestone. We can’t wait to see what 2018 will bring. Un-inoculated primary fermentation in stainless steel and neutral oak. Secondary fermentation in bottle, hand disgorged.